This beautiful quality cosy has been handmade from the world renowned Harris Tweed handwoven fabric in a classic blue and white check. 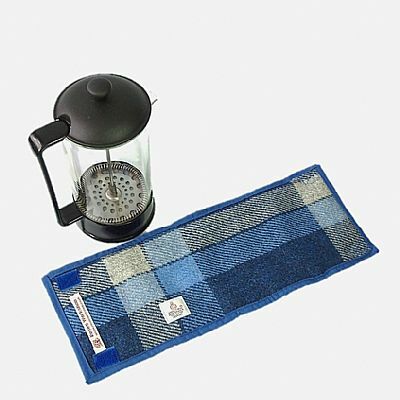 It is lined and edged in toning blue cotton fabric, and wadded with polyester to keep your tea warm. The Orb label, your guarantee of authentic Harris Tweed fabric is proudly displayed. 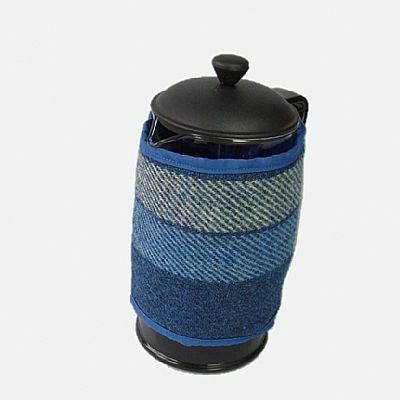 This cover is to fit a standard 1 litre / 4 cup cafetiere. It measures 39 x 15 cm (15 x 6 inches) and closes with two Velcro tabs. 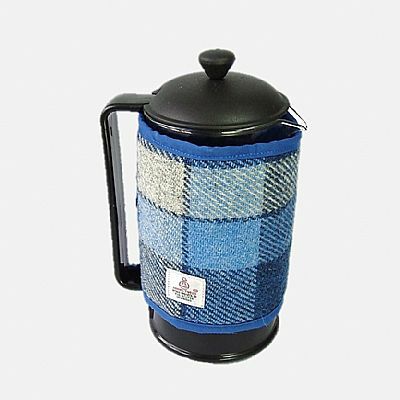 Other designs of tea cosy, and also cafetiere covers and mug cosies, may be found in my shop: Harris tweed tea cosies.